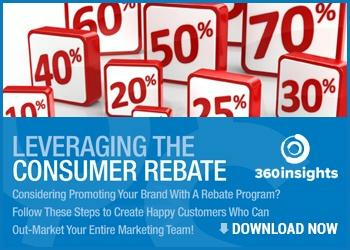 A good rebate program can lead to a significant increase in sales that far outstrips the cost of running the initiative, ultimately generating revenue growth and improved brand awareness. Data reporting and claim auditing are critical components to ensure you are taking full advantage of your rebate program without facing significant risk from fraud, insufficient ROI, and other negative factors. Modern channel management programs allow for more robust data collection from within the channel, giving you insights that can help you maximize your rebate initiatives. Here are five indispensable sets of metrics your channel management solution should be playing back to you and what they mean to your program’s health. A common obstacle brands face, is not being able to get detailed sales information in a timely fashion to compare with rebate claims. Having a disproportionate number of rebate claims relative to sales figures is a huge red flag within a rebate program. By implementing a modern channel management program, the insights provided can help brands analyze and recognize trends based on claims data provided by consumers; identifying signs of fraud right away. Brands must often perform a careful balancing act of making rebates large enough to entice consumers to make a purchase, and moving enough product to generate sufficient ROI from the promotion. Rebate programs featuring sales forecasts and past program adoption based on historic data give businesses the visibility they need to accurately identify the best possible rebate levels before programs get off the ground. Engaging consumers often hinges on reaching them where they are. Blanket sales data may be useful with big picture program management, but product performance can vary greatly at state level and even at the individual dealer level. Being able to peek into state rebate program performance data, quickly lets channel marketing teams tweak their strategies in different geographic regions to maximize program performance and revenue creation potential. How many sales workers have viewed your rebate training materials? Is there any confusion about eligibility and program availability? Sales engagement is critical in ensuring you consumer walks away with your product, informed and happy. Your sales partners may not be the ones filing rebate claims, but they will be the ones using the program to get consumers on board with purchasing one of your products, which is why receiving data that pertains to sales team engagement can give your marketers insights into what kind of content they should distribute into the channel and how they should reach out to sales partners. Don’t wait until a rebate program is finished to find out sales workers were too confused about its rules to recommend it to consumers. How much time typically passes between a purchase and a rebate claim? Which methods do users in different areas use to make a rebate claim? What is the average time from claim submission to rebate payout? The answers to these questions are vital in understanding how consumers submit rebate claims and how that impacts your ability to respond as an organization. Offering the connections they demand, including mobile-optimized rebate forms, electronic payouts and quick responses to any questions allows for a more simplistic and efficient process, encouraging higher rates of product registration. Measuring actual customer use patterns and feedback through a modern channel management program lets you optimize your strategies in these areas relative to actual user preferences. Just a few years ago, most businesses running rebate programs needed to pore through files of paper-based sales records to prepare a program, roll it out after careful planning and wait months for any feedback. This inflexibility can severely limit value potential. Modern channel management programs are providing the timely data brands need to get more out of their rebate programs, and modules that provide these five key data points can help you create the revenue opportunities you need from your rebate efforts.